Today the media attention of half the world is focused on Russia, where the World Cup has just started. A sport that has had an unfortunate translation to the cinema, where we can find films about the king sport that is better to forget. However, this unfruitful mix has left few but interesting film shows, which have satisfied both film buffs and football fans. It may not be easy to reflect the feeling, the euphoria, the magic, the disputes and the environment that football contains. But at least it has been tried. Although there is still hope that a film that is as remembered as a goal by Maradona will be achieved. It is very typical, but John Huston knew how to introduce football as an excuse in a prison plot, of intriguing escapes that contained a peculiar cast, but that worked: Sylvester Stallone, Michael Caine, Max von Sydow and the Brazilian superstar Pele. At least, without being a major work, it did offer an acceptable vision of this sport. The director of Indian origin Gurinder Chadha was diving into the power of football and what it meant to two young girls. One from India, where the task is not easy and more aiming to play like his hero David Beckham. The other, her discoverer who invites her to join the local women’s soccer team, where they will share her dream and passion for football. Emotive, reflective and very intelligent. I believe that a success and where the inclusion of football does not disdain the history in which it is perfectly integrated. We take a temporary leap back to a time when football was very different but also raised passions. Cinema is dotted with football chapters, and one of the most notable is this film by Rovira Beleta with the unforgettable José Isbert or Mary Santpere. The soccer or the fianc2ee, a difficult election that has to consider the protagonist, a soccer player aspiring to the success with a legion of feminine fans that wake up the consequent jealousies of his fianc2ee. Comedy, football and with the participation of stars of the time such as Di Stefano or Zarra. Maybe today we have something old, but it has its charm. Very personal and austere film, directed by Santiago Aguilar and Luis Guridi, which served to reflect a very footballing and endearing story. I did not quite convince myself, but the style of La cuadrilla is well reflected. A sympathetic, kind and acidic comedy, to the greater glory of Carlos de Gabriel, perhaps on which the film is held in excess. It was not be for lowerly. The Argentine deity of football, after years of football admired as religiously venerated, has had a recent documentary by director Marco Risi, which is based on the life of the Argentine star. Unpublished images of its beginnings, mixed with scenes of fiction, and with approval of the protagonist himself, the film is a good job to reflect the grandiosity of Maradona. The German Hannes Stöhr mixes several stories that have as backdrop a Champions League match. It is a simple tape, without much pretension but well resolved, with good taste and in which it tries to reflect a reality in Europe with football as an excuse. It is not that football is the protagonist, but it does not stop being present throughout the film. Again the cinema approaches the soccer phenomenon and David Serrano achieves a comedy with hilarious moments. Its inspired actors have good guilt. Hector Alterio, Alberto San Juan, Fernando Tejero, … put their spark to provoke smiles accomplices and not only in the good fan of the king sport. Gorgeous dialogues with good actors and funny situations for a movie that without being a wonder is nice and comical. A very explosive mixture that causes repairs from its own title. Martial arts and soccer in an explosive cocktail with fantastic tints and in a comedy tone. That does not seem easy to digest, but the film is a genuine curiosity that manages to start out loud laughter. It is not taken seriously at all and that manages to turn this story into a cult comedy. 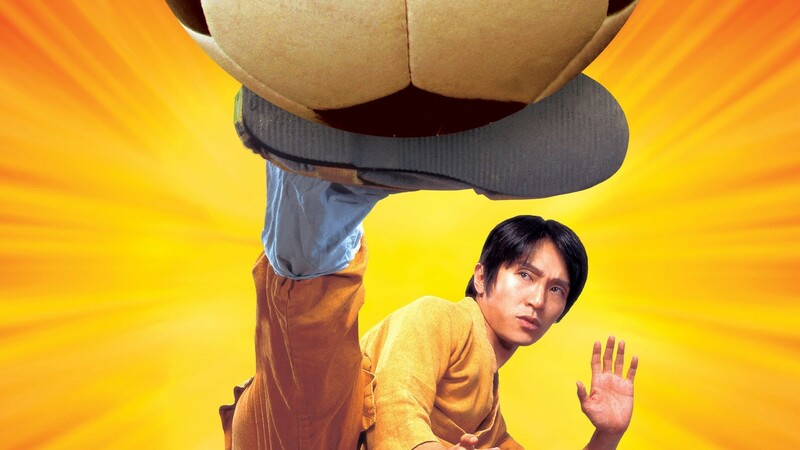 We know Sing, disciple of a Shaolin, whose ambition is to popularize kung fu, until he meets with Fung a failed soccer player with whom to form a team that will mix football and kung fu. Recommendable. The Mexican Carlos Cuarón accurately narrates the story of two very different brothers, one with aspirations of singer and the other of soccer player who wish to carry out their respective dreams and succeed, to get out of their painful economic situation. A rivalry very well reflected with the chemistry of its protagonists Diego Luna and Gael García Bernal. Neither is it a superb film, but the football scenes are very well shot and justified. I recognize that it is the one that has more and better managed to reflect the world of football in the cinema. It’s football is the protagonist, through a chapter of rivalry between British coaches. A frantic pace, told with intrigue and much interest that achieves, in addition to a brilliant work of the British Michael Sheen. It reflects realistically the football from backstage, in the dressing rooms, in the offices, in the trainings. It has an authentic flavor and a quite remarkable interest.